In this guide we take a look at some of the weird and wonderful restaurants awaiting you on your trip to the state of Florida. 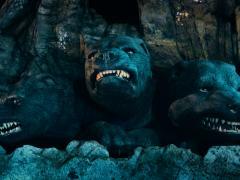 When most people in the UK think about Florida, one thing tends to spring to mind: the attractions! This is fair enough, of course – when somewhere is home to such legendary locations as Walt Disney World, Universal Orlando and Busch Gardens (to name but a few), it’s hardly surprising that it is known first and foremost as an amazing family holiday destination. However, anyone who has visited before will know that there is far more to the ‘Sunshine State’ than its multiple theme parks and other holiday hotspots. 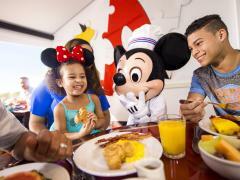 As well as sourcing your tickets to the Florida parks, something you’ll need to think about before setting off on your next Orlando getaway is finding some great places to eat once your party’s appetites have been worked up after a long day of adventure. Fortunately, Florida has such a large and varied selection of fantastic restaurants to choose from that you are bound to find a menu that hits the spot, even if you’re travelling with some fussy diners! Whilst there are plenty of fine options available within Walt Disney World and the other theme parks themselves, we recommend taking the time to explore what some of the rest of Florida’s culinary scene has to offer you. As you’ll see from the favourites we’ve highlighted below, there are a wide range of eateries in Orlando and beyond which specialise in providing not only delicious meals but also some truly incredible entertainment. Read on to learn more about just a few of the many weird and wonderful restaurants which await you on your trip to one of the world’s most exciting food destinations. 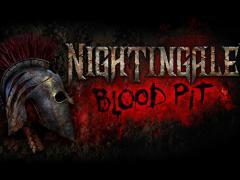 We start off with possibly the most electrifying dining experience you and your family will ever enjoy! 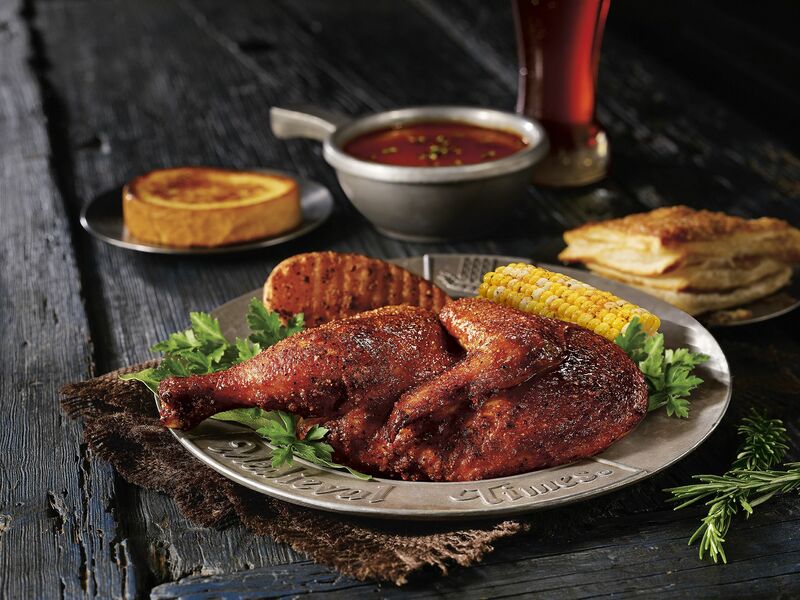 The Medieval Times Dinner & Tournament in Kissimmee (one of nine locations nationwide) is perfect if you’re looking for a family-friendly evening full of great food and even better entertainment. As soon as you have stepped inside the 11th century-style castle where the action is held, you will understand why this dinner event – and it really is an event – has been such a favourite with local and visiting families for so long. The interior is decorated with all manner of historic artefacts, from suits of armour to the coats of arms of ancient Spanish families. 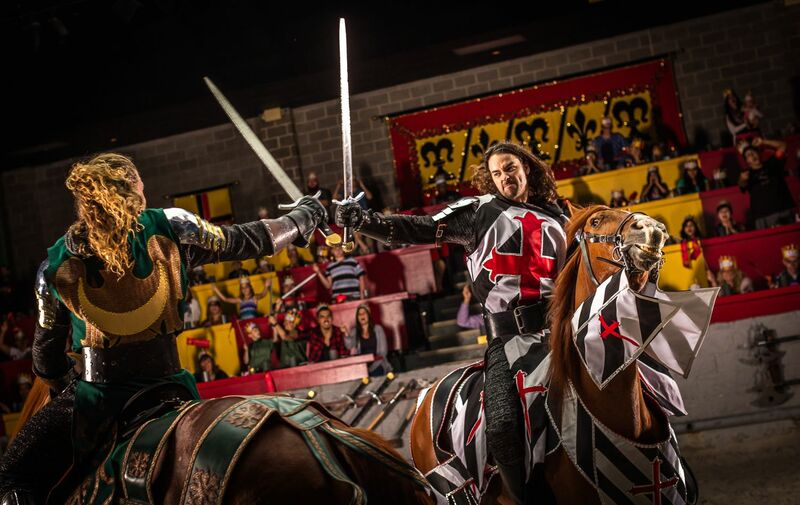 Florida’s Medieval Times is also the proud home of the only ‘Medieval Life Village’ in the country, which is a fascinating experience that teaches children and parents alike about many aspects of what life was like all those years ago. The most amazing part of your trip, however, will be the slap-up meal and incredible show which awaits you in the castle’s Grand Arena. The knights engaging in sword fights and a jousting tournament will keep everyone on the edges of their seats, and you will always remember the impressive displays of falconry and horsemanship that are also a part of every event. Your food, meanwhile, will prove the perfect accompaniment to all the excitement, with each meal including tomato bisque soup, garlic bread, oven roasted chicken, corn cobbette, herb-based potato and the ‘pastry of the castle’. Coffee and non-alcoholic drinks are also included as standard, whilst a full bar is available for adults. We continue with the Spanish theme for our next choice and, although the Columbia Restaurant isn’t exactly medieval, it certainly is historic. Now boasting additional restaurants in Sarasota, St. Augustine, Sand Key and Celebration (as well as cafes in Tampa Bay and at Tampa International Airport), the original Columbia was established over a century ago and is still going strong today. Other than its authentic Spanish cuisine, the most eye-catching thing about this restaurant is its memorable flamenco shows, which take place six days a week. You would be forgiven for thinking you had travelled back to 1900s Spain itself when the amazing dancing troupe takes to the stage! “The Hernandez Gonzmart family opened the landmark Columbia Restaurant in Tampa's historic Ybor City in 1905. 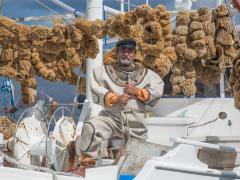 Today, it is Florida’s Oldest Restaurant℠ and the world's largest Spanish restaurant. “Enjoy a flamenco show while you dine. Show times are Monday – Saturday nights (there are no shows on Sunday). There is a $6 cover charge per person for the show. 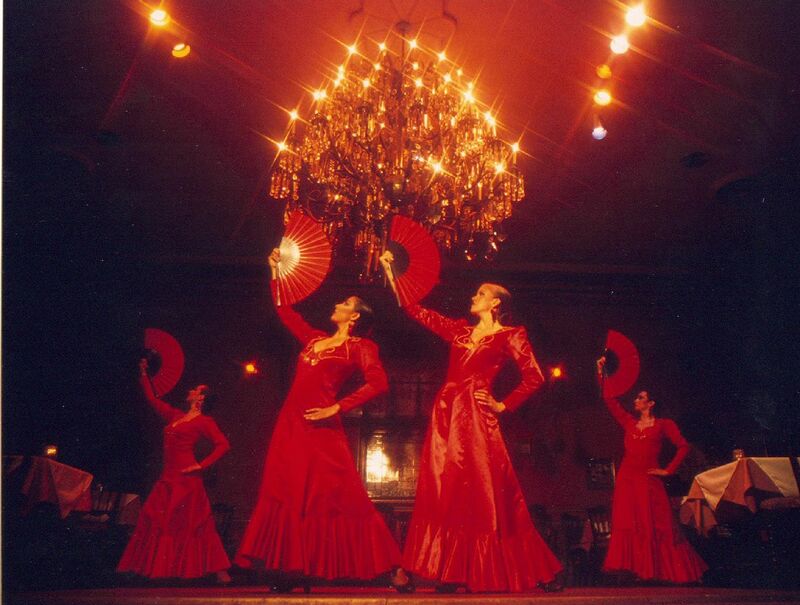 “The Columbia’s flamenco show brings the culture and dance traditions of Spain to Ybor City as a complement to their internationally acclaimed Spanish cuisine. Our culinary journey around Florida’s own miniature version of Europe continues next with a trip to Greece! The Taverna Opa Orlando is, like other restaurants on our list, known as much for the nightly entertainment it provides as its menu. 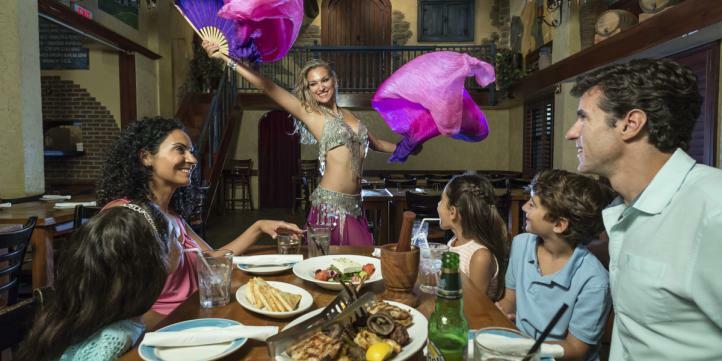 “Known for authentic Greek fare, nightly belly dancing and a lively atmosphere, Taverna Opa Orlando has been a mainstay in Orlando for more than a decade. The Greek restaurant’s combination of food and family-friendly fun make it a must-visit for tourists looking to cut loose on holiday. 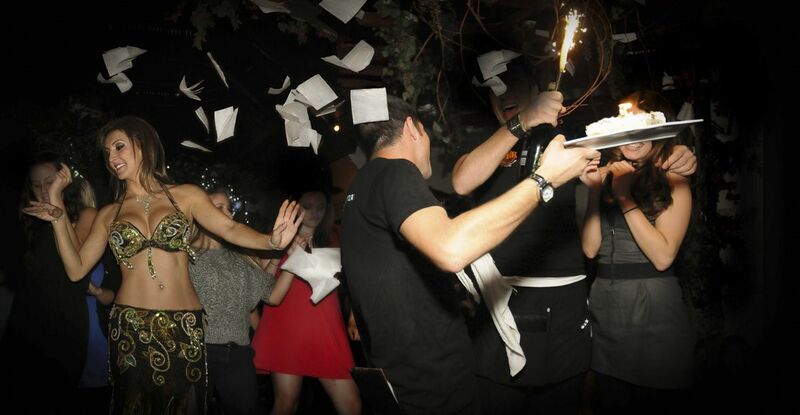 “Just steps from many popular attractions, Taverna Opa Orlando is a central spot to get the party started. 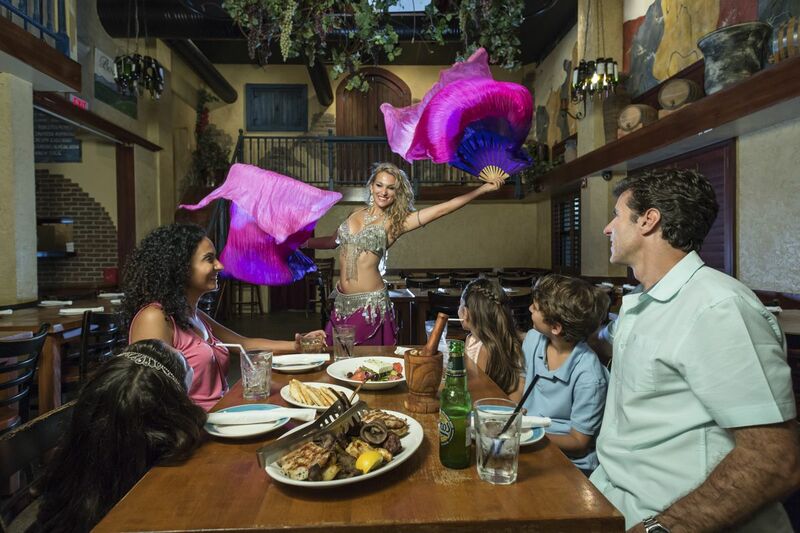 Dance on tables, throw napkins in the air or bust a move with one of its signature belly dancers. And remember, the night isn’t over until the ouzo runs out! 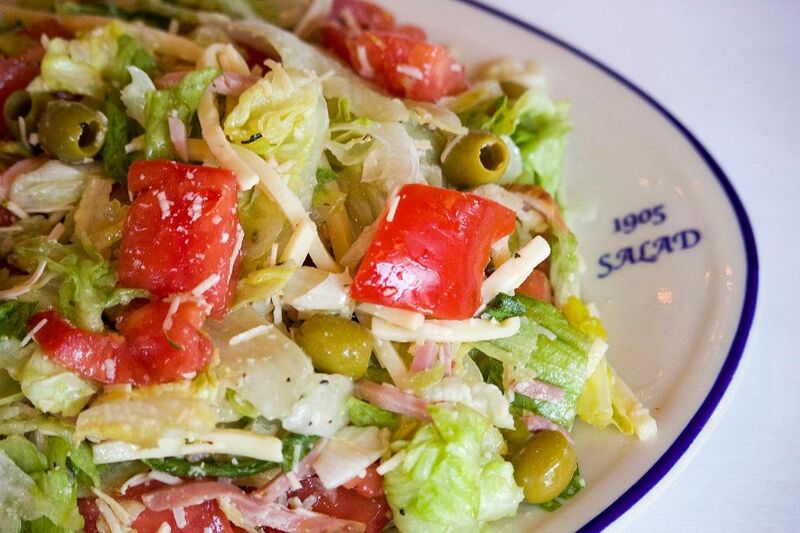 It’s also worth noting that you can always rely on the food at Taverna Opa Orlando to provide a genuine flavour of Greece right in the middle of Florida, with the restaurant’s cheese, olives and oil imported directly from the country that inspired it. Our next choice is another example of how mixing fine dining with fun and excitement isn’t just something Florida has been doing in the last few years. 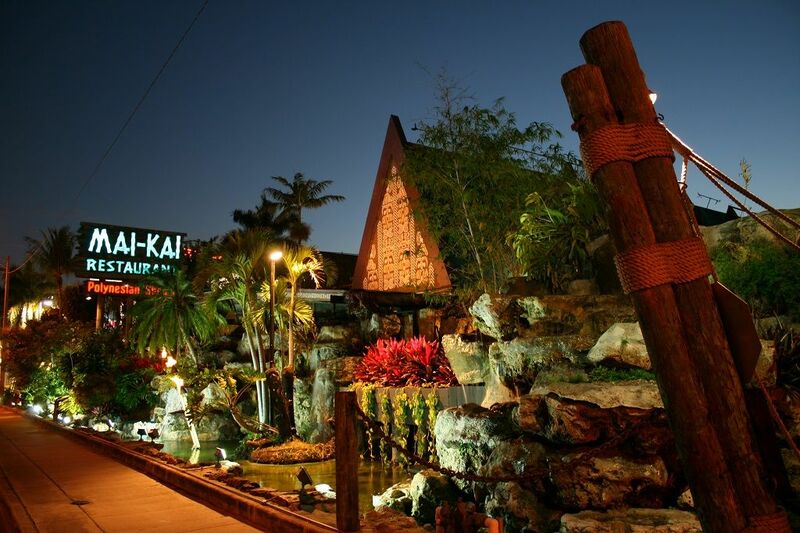 Located in Fort Lauderdale, Mai-Kai has been paying tribute to the people, culture, sights, sounds and tastes of the beautiful Polynesian region of the southern Pacific Ocean for over 60 years. Having built its reputation for great food and entertainment over such a long period of time, you can be sure of enjoying a night to remember at this classic Florida restaurant. “Marvel as agile warriors and beautiful maidens perform dances from the South Pacific while you are dining on tropical dishes and exotic drinks from an award-winning menu. “The Mai-Kai authentically recreates a Polynesian village complete with tiki torches, a thatch roof, tropical gardens with an orchid collection, giant tiki sculptures, lagoons and waterfalls. This is a perfect place to celebrate a birthday, anniversary or to get married at. 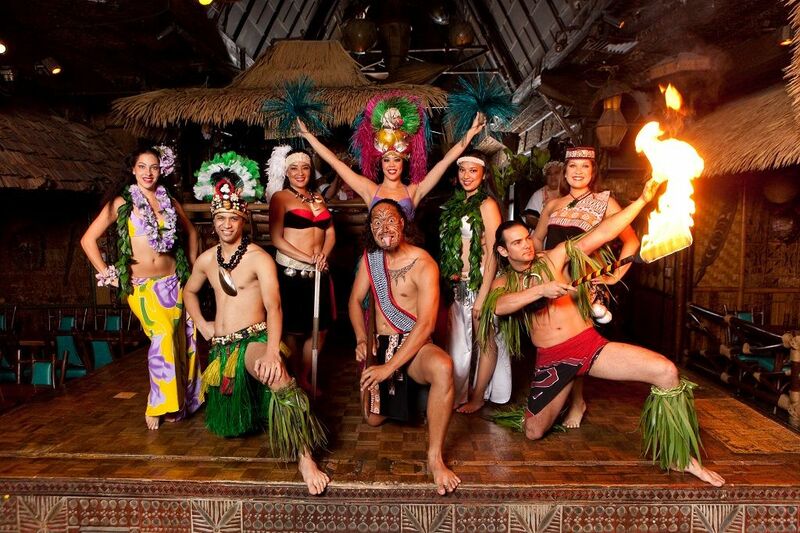 The Mai-Kai is home to the nation's longest running Polynesian Dance Revue. Next up is another much-loved Florida dining-entertainment institution and undoubtedly one of the best examples of the fantastic ‘dinner shows’ that have been growing ever more popular in recent years. 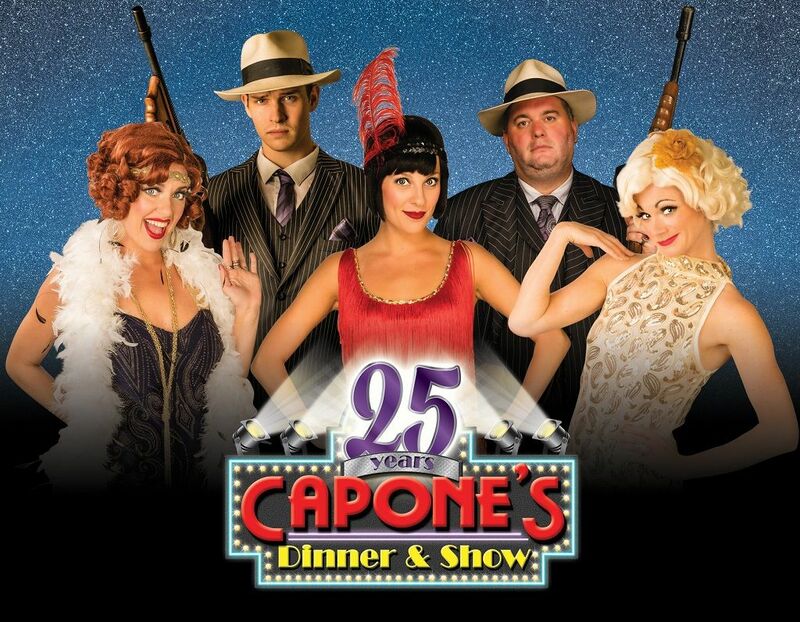 Capone’s Dinner & Show is proudly celebrating its 25th anniversary in 2017, and has marked the occasion by putting together their best show yet. This means that, even if you’ve visited before, you’ll be bowled over by the brand new musical numbers and greater audience interaction that accompanies the show’s story – not forgetting the sumptuous food included in the price! 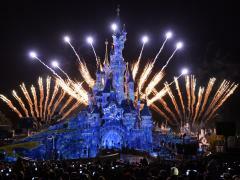 “After a day or two at the theme parks, it’s nice to sit back, relax and be entertained. One Orlando dinner show is unique and as affordable as they come – Capone’s Dinner & Show. Unlike chain dinner shows, Capone’s is unique. 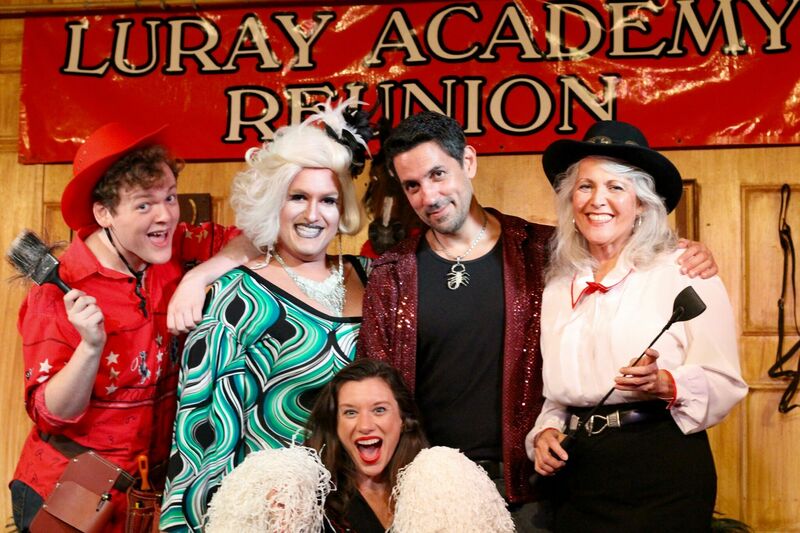 You won’t find another show like it at any other vacation hot spot. “One unique feature is the all-you-can-eat buffet. Not a plated dinner or course-by-course serving throughout the evening as many expect. No. You can select what you want and fill your plate (maybe even more than once) during the dinner portion of the show. The buffet is filled with Italian and American dishes. There is also a meat carving station and salad bar. Do note, however, the buffet closes so that the show can take centre stage, and boy does it ever! “The show transports guests from modern-day Orlando back to 1931 Gangland Chicago. It begins the moment you arrive and are greeted by characters you’d think were Al himself (or one of his dames). One part prohibition-era speakeasy, one part cabaret, this show features mobsters, flappers, action, romance, comedy and a gangster shoot out for an evening of outrageous and raucous fun for all ages. 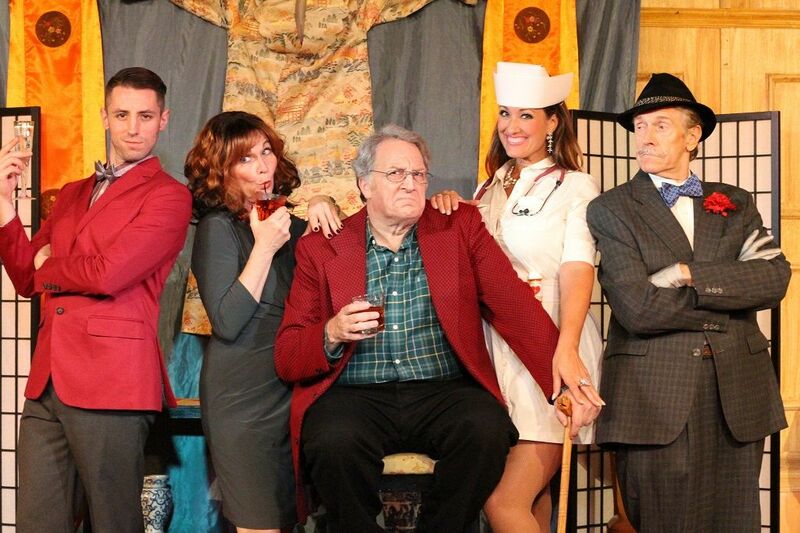 Another long-established highlight of the Florida dinner-show scene is Sleuths, an Orlando-based experience which combines mystery with comedy to create an unforgettable evening of intrigue, laughter and – of course – excellent food. 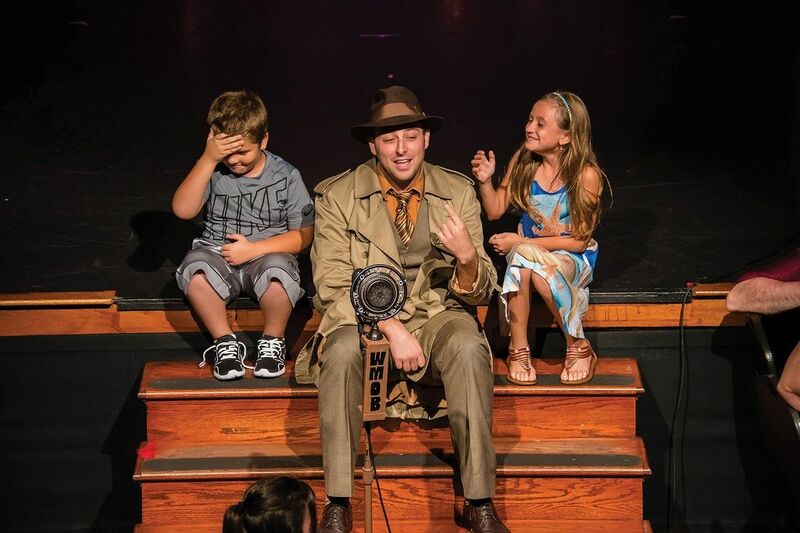 Don’t miss out on this very special attraction, the longest-running of its kind in Orlando, which starts entertaining from the moment you enter one of the building’s three theatres. Audience participation is a big part of the evening and, upon your arrival, you will be greeted by the cast of characters and expected to make a mental note of anything suspicious that could come in useful later on. Your starter of salad, crackers, dinner rolls and a fantastic cheese spread will be food for thought as your investigation begins. The raucous comedy-mystery that accompanies your main course involves your table becoming a team and working together to identify clues that will lead to the culprit being exposed at the end of the evening. Once your plates have been cleared away, you will be given the opportunity to ask any questions you may have surrounding the case – a section of improvisational acting that always leaves the audience in fits! Towards the end of the evening, you will enjoy a ‘mystery’ dessert and then be asked to put forward your final guesses as to the guilty party. And, if your hunches are correct, the fun doesn’t stop there – the victorious sleuths will receive some great prizes to take home! Last but not least, we take you back once more to Spain, which just goes to show how much of an influence the country still has in a state which was first settled by the conquistador Juan Ponce de Leon back in the 16th century. 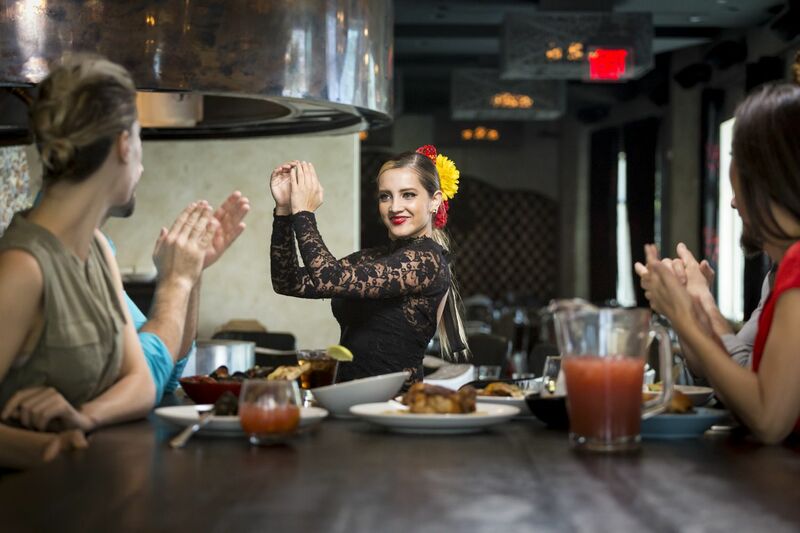 Like several other Florida restaurants, Tapa Toro embraces dance as a big part of its overall dining experience, with nightly flamenco performances providing the perfect side-dish to your meal of traditional Spanish fare. 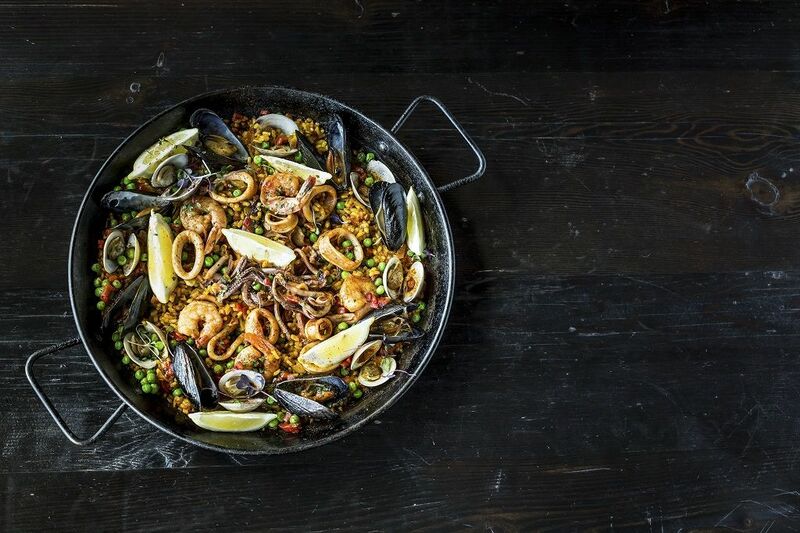 “Get a taste of Spain in Orlando. Tapa Toro is a one-of-a-kind Spanish restaurant that you won’t find anywhere else. “The restaurant boasts electrifying flamenco performances every night, which are full of captivating dancing and heart-pounding rhythms that are sure to entertain audiences of all ages. The entertainment pairs perfectly with Tapa Toro’s signature tapas and paellas. During your visit, try your hand at a porrón – a traditional Spanish wine pitcher you pour directly into your mouth. It’s sure to get the fiesta in full swing.